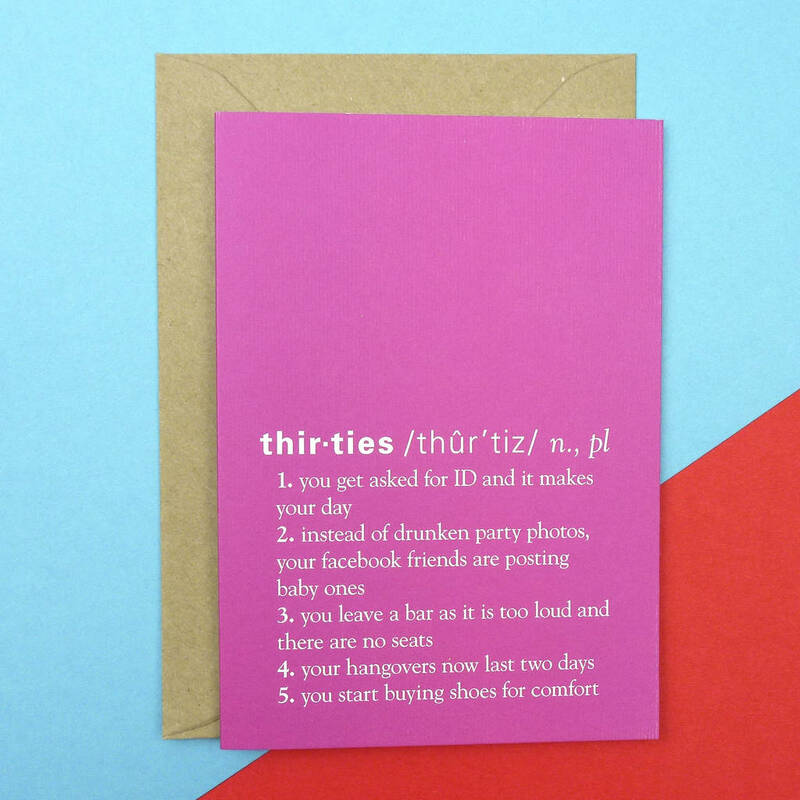 Looking for a different 30th Birthday card, this one will raise a smile! For a different definition of 'Thirties' take a look at this card, does it apply to the recipient? This is a small A6 card printed on luxury textured paper with a kraft brown envelope. Printed on luxury textured card complete with brown kraft envelope.